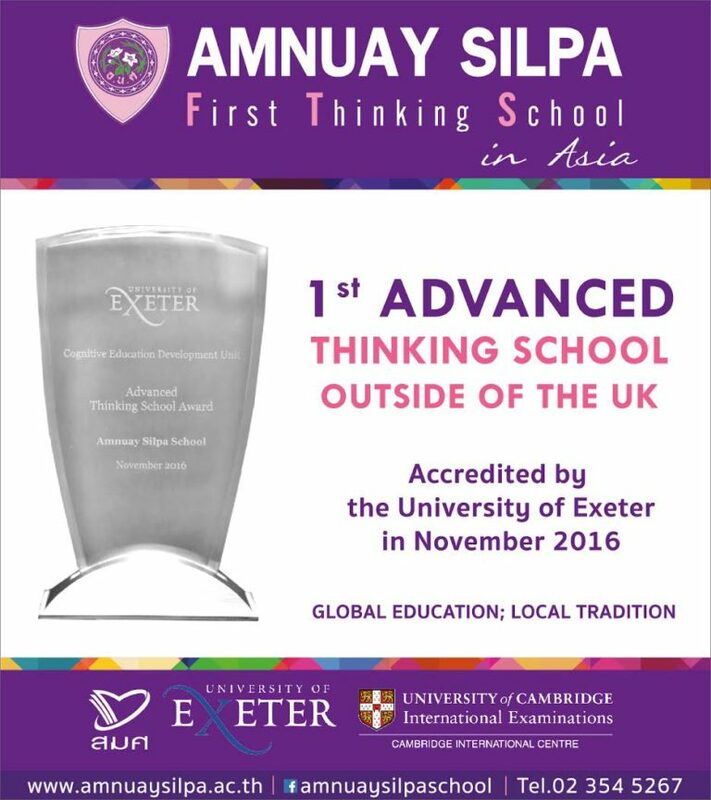 In January 2017, Amnuay Silpa School was accredited by Exeter University as an Advanced Thinking School. ANS is now one of only 11 schools currently awarded with this status and the only school outside of the UK. This is a remarkable achievement for our school community who have been leading the way in thinking since the programme was initially introduced almost eight years ago. Director, Cognitive Education Development Unit, Exeter University.